A trip to Rajasthan, a land full of romance, Royalty, spirituality and nature is the finest. Rajasthan is a rich in culture and full of colour, it is a grand open-air museum, where the imperial Forts, Palaces, amazing havelis, dances, arts, music and crafts and rich cuisine. Paint yourself in the vibrant colours of this royal land and take back everlasting memories with Go India trip Rajasthan holiday tour packages. The legendary palaces of Jodhpur or the Pink City of Jaipur, are a must visit. Udaipur: Udaipur the capital of the former princely state of Mewar is a beautiful city in Rajasthan. Udaipur is also called Kashmir of Rajasthan. Udaipur the City of Lakes is one among the most romantic and most beautiful cities of India. Most of the palaces have been converted into hotels, thus attracting a huge number of tourist crowd to this city. Pushkar: Pushkar is a small place from Ajmer. It is a holy place mostly visited for the sacred Pushkar Lake and the Camel Safari. Thus though Pushkar is primarily a pilgrimage spot, it is also visited for the exciting camel safaris in the desert sand dunes.The town is famous for its temples and ghats. Jaipur: The capital of the state, Jaipur is also the largest city in the princely state of Rajasthan. Also known as The Pink City of India, which is due to the pink colour of the buildings,the well planned streets and artistic architecture make it one of the top preferred tourist locations. Jaipur has lots of Forts, Monuments, Temples, Gardens, Museums and market places. Jaipur bring tourists who come from all around the world to experience the food, fun and frolic at this wonderful town. Jodhpur: The second largest city of Rajasthan, Jodhpur is also the second most populated city of Rajasthan after Jaipur. Jodhpur is also called the Sun City as it enjoys a bright sunny whether all year round. The various hill forts, palaces and the old walled city are just a handful of attractions from the multitude that this wonderful city has to offer. Jaisalmer: Jaisalmer also known as Golden City which comes from its view during the day. The city of Jaisalmer lies in the heart of the Thar Desert. 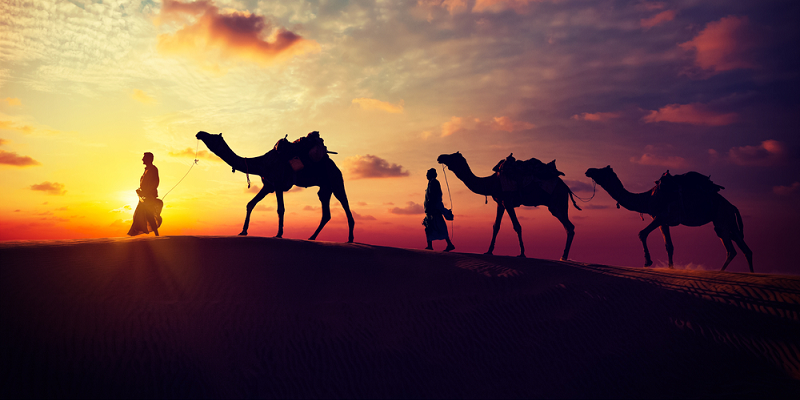 The city gets its name from the golden sands of the Thar Desert. The city is a famous tourist spot due to its magnificent architecture and the various arts and crafts which are unique to this region. The unique feature about the city of Jaisalmer is its architecture. It was built as a walled city which makes it one of the largest forts in the world. Bikaner: Bikaner is another prime tourist destination and is famous for its sweets and snacks. The place is known for its Forts and Food. 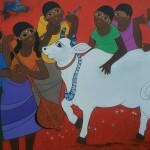 The various arts and crafts of this place are also unique, especially jharokhas. The various fairs held in Bikaner also attract a huge number of visitors. A tour packages which including heritage and cool breeze of Mountain along with visit to most sacred place of Hindus. The glorious destination will take you back to the times when kings rules justly and heroes fought wars. From monuments built for love, you will experience royal lifestyle when you visit Go India Trip Rajasthan Holiday tour.